Ever wondered what it takes to get into Fort Knox? Fancied a peek inside the Coca-Cola Safety Deposit Box? Would you dare to visit Three Mile Island? The world is full of secret places that we either don't know about, or couldn't visit even if we wanted to. Now you can glimpse the Tora Bora caves in Afghanistan, visit the Tuscon Titan Missile Site, tour the Vatican Archives, or see the Chapel of the Ark. 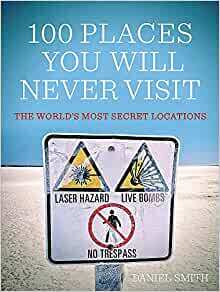 This fascinating guide book takes a look at 100 places around the world that are either so hard to reach, so closely guarded, or so secret that they are virtually impossible to visit any other way. Start reading 100 Places You Will Never Visit on your Kindle in under a minute. 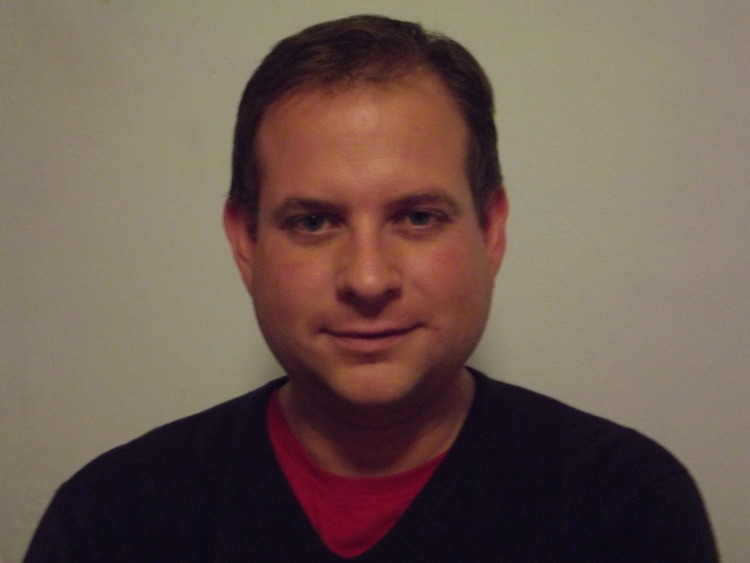 Daniel Smith is an author and researcher. His books include 100 Places You Will Never Visit and three further titles in the same series, as well as The Sherlock Holmes Companion and a history of the Second World War Dig for Victory campaign. Daniel is also a long-time contributor to The Statesman's Yearbook, an annual geopolitical guide to the countries of the world. He lives in London. When on holiday, I like to take a book of this type with me; one that I can just dip into for ten or 20 minutes at a time; every four pages is a stand-alone item. As such, this book is OK, not brilliant but still OK. Most of the 100 places covered are not incredibly interesting and quite a few are no surprise at all. For example, Fort Knox is not a place that I'm surprised that I'll never get to visit. Nor nuclear weapons plants in the Middle East or bunkers in America. Actually, 40% or more of the entries are within the USA and, as items are listed geographically, circling the globe from west to east, the reader gets almost half way through before finding the first non-USA item. In most of the items there is at least one nugget of interesting information and it is that element that saves this book. This book worked for me, in providing a specialized reading style that I only engage in while on holiday, so, for me, it was OK. But don't expect to be astounded! Great book. Easy to pick up and read a few of the 100 then come back to it another day and a good talking point. Often find myself looking up more about the places just for interest. There are photos and diagrams of the places (where possible) as well as good explanations about what they are and why you won’t ever visit them. Obviously some people visit these places, but not your everyday person I.e. Hobyo (Somalia), Radio Liberty building, Fort Knox, Mount Baekdu hideout to name a few. A nice book, with some interesting places in it. I have to question the "Google Data Centre" though - there are far more secure and far more interesting DCs around the world which you really will never get to see, eg. GCHQ, NSA, DOD, FBI, probably MI5/MI6, FSB, Mossad etc. Still, if you're writing a book you can google up the details for Google's, whereas you can't even get them to admit they have any of the others, I guess. Very interesting reading. My 13yo was hooked on this when we stayed at a holiday let (it was part of the cottage book collection.) When we left we had to buy it for him to finish. Full of amazing facts, conspiracy, intrigue and insight into both the world's bizarre and natural hidden landmarks. Recommended for all inquiring minds. 5.0 out of 5 starsHow to feel better about not achieving everything in life! I liked the sound of this book and wasn't disappointed when I read it! The 100 things you will never do includes such events as winning a Nobel Peace Prize, landing a jumbo jet, being in two places at once, and scoring a goal in a World Cup Final. A fun book to read! His other book 100 Places You Will Never Visit (includes the Korean demilitarised zone, Area 51 and Coca Cola's Recipe vault) is also worth a read! Both books are easy to read and have lots of pictures/photos. This is not what I thought at all. A lot of the places are in America and I didn't realise it was a bit "conspiracy theory".... You'll never get into this place because its very secure and hidden. After reading this about several places you begin to feel you don't care anyway because you wouldn't want to go there. I don't like to leave a book unfinished so I am just dipping into this one from time to time. Bought as a gift from an Amazon wishlist. Looks interesting. Recipient was very pleased and started reading straight away.